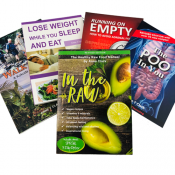 Anne T. Clark books, CDs and DVDs on wellbeing, easy healthy recipes and healthy snacks, raw food diet, mental health, nutritional supplements, probiotics, losing weight, vegetarian and gluten free diet, health issues like constipation and irritable bowel syndrome. 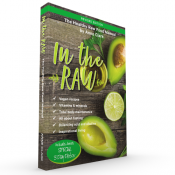 Anne Clark’s 4th edition of In The Raw is ‘new and improved’! This book is on the mark for giving you insights into raw food living. Jam-packed with wisdom on maintaining a positive mental attitude, supporting greater resistance to disease and encouraging natural healing of the human body. By popular demand we have assembled the best book bundle for your enjoyment, practicality and savings. 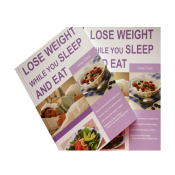 If you are carrying extra weight, and you are uncomfortable, this book will teach you about regaining your personal power. Creating the right body shape will be a side effect of being in balance. That is what this book is all about, BALANCE! 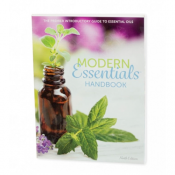 This is the perfect trusty sidekick to accompany your essential oils use. Covering the basics whilst being user friendly, this book is your go-to guide & perfectly sized to easily carry around with you. 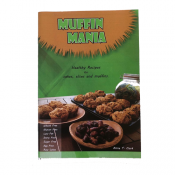 Muffin Mania: amazing simple and easy to prepare wholesome muffins, cakes and slices. With ‘kitchen proof’ cover and simple, inspirational combinations that you can create quickly and conveniently. Running On Empty helps you to understand more about depression, anxiety, being stressed and how these emotions are socially crippling not only you but society. 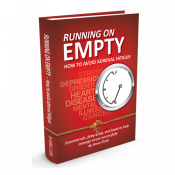 Running On Empty will uplift and guide you through the emotional land mines of lifes challenges. 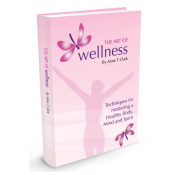 The Art Of Wellness book is a compilation of contributions from over 15 health and wellness practitioners on the Sunshine Coast, Mt. Isa, Bundaberg and Maleny. The stories and insights from these people are profound and the benefits of their wisdom goes without saying. Just released! 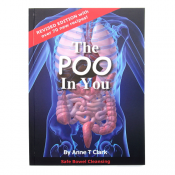 The revised edition of The Poo In You. Safe bowel cleansing! What does that mean to you? There is too much information out there on cleansing, but, how much of it is actually giving you the correct information and the safefest techniques to achieving a really healthy digestive system, and empowering you to look after ‘you’. Everyone has a dream that can bring up enormous amounts of fear as well as joy just thinking about it. 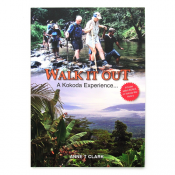 For Annie Clark, Walking Kokoda Track was not only her ‘Mount Everest’, it was her greatest fear. This book takes you on Annie’s journey. 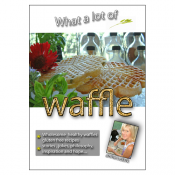 What A Lot Of Waffle, is a special book with a special message. Annie has been creating gluten free waffle breads for nearly 15 years. This book will give you so much more than recipes.